The Westin Palace is an impressive building in Milan, 50 m from Repubblica Metro Station. Rooms are decorated in Neoclassical style and feature an LCD TV. WiFi is free throughout. The Palace boasts a red marble façade and a rooftop terrace with city views. The hotel is complete with a wellness centre and the Westin Workout gym. The design rooms have pastel-coloured walls and precious antiques. Each room features the brand’s Heavenly Bed and Heavenly Bath. Breakfast is an extensive sweet and savoury buffet, including hot dishes. The Westin's PanEVO Restaurant serves Italian and regional cuisine for lunch and dinner. The Lounge Bar is decorated with precious woods, leathers and fabrics. A short walk from Milan Central Station and the Natural History Museum, this contemporary 5-star hotel has a neoclassical-style, including an impressive marble façade. This traditional style is continued in the hotel’s bedrooms, which have beautifully engraved wooden furniture, as well as modern conveniences like high speed wifi, flat-screen TVs and bathrooms stocked with tempting toiletries. There is also an on-site gym and a Italian restaurant. 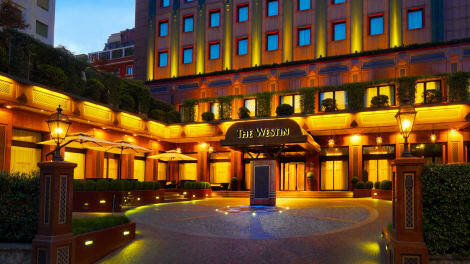 This 5-star hotel is centrally located, close to most of Milan’s major attractions. It offers an amazing rooftop pool with a stunning 360-degree views of the city skyline, a Spa and a Gym with Technogym equipment and a CrossFit training area. All rooms are decorated with designer furniture and marble bathrooms. They all feature free WiFi and a smart TV and minibar. Enterprise Hotel is the unique green design hotel in Milan with panoramic SPA. In true Italian style, this 4-star superior hotel in Milan brings modern design and classical elegance together. All rooms are decked out in luxury fabrics and parquet flooring, but also feature free wi-fi, LCD TVs and air conditioning. Enjoy the ambience of the Lounge American Bar or the vintage style of the Aperitage. Or head to the new rooftop spa " Le Terme di Kyoto ", a unique place to give to oneself, moments of rest and relaxation enjoying beauty and wellness treatments; the spa offers: jacuzzi, warm bench, turkish bath, emotional shower and relax area with tea and herbal teas. It's just a short walk from Fieramilanocity , MiCo and Metro Lilac, with which , in a few stops you will reach the historic center , the San Siro stadium , the train station , Expo and the Rho / Pero trade fair centre. This smart and colourful 4-star hotel is just a short tram ride from the centre of Milan. Before you head out for the day, treat yourself at the hotel's generous complimentary breakfast buffet, and enjoy authentic Italian cuisine in the evening in the lounge bar. Rooms are fitted with flat-screen TVs, en suite bathrooms with rainfall showers and free wifi. The Hilton Milan hotel is the perfect base to discover the exciting, sophisticated and cultural city of Milan. 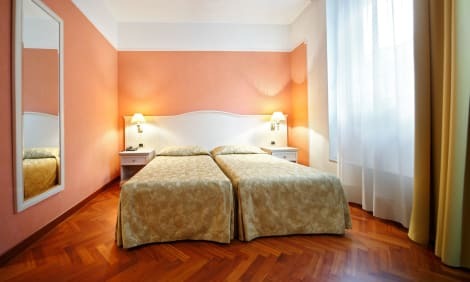 Located only one block from the Central Train Station and just two miles from many Milan attractions, this hotel is set in an ideal location.Visit local attractions such as La Scala opera house and Sforzesco Castle as well as Milan’s famous fashion district, all within walking distance from this Milan hotel. 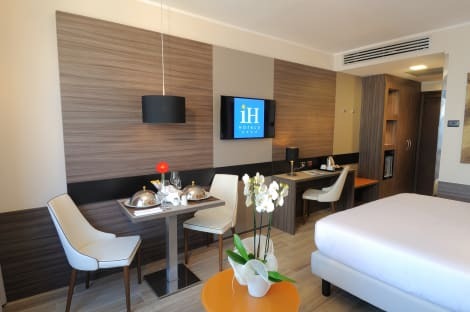 Retire to a spacious guest room, suite or executive room at the Hilton Milan hotel, perfect for couples, families and business guests alike.Each room features contemporary, bright and airy décor and wireless internet access. Upgrade to an executive room for exclusive access to the Executive Lounge with its private terrace. Find all the facilities you need to do business at the hotel. Just one block from Central Station and airport bus links, the Hilton Milan boasts 13 meeting rooms for up to 200 guests, business center and nearby conference center with wireless internet access available throughout the building. As well as the many local attractions, work out in the 24-hour fitness center, experience a sightseeing tour or simply relax with a drink in the hotel bar or restaurant. Dine on authentic Italian cuisine at the Pacific Milano Restaurant and choose from á la carte dishes, buffet meals or freshly baked pizzas. Later, retire to the Cosmopolitan Lobby Bar Lounge and enjoy the cozy atmosphere with a glass of wine or Amaretto nightcap. Featuring free WiFi throughout the property, Glam Milano offers pet-friendly accommodation in Milan, 1.6 km from Milan Fashion District. Guests can enjoy the on-site bar. Each room is fitted with a flat-screen TV with satellite channels. Some units include a seating area to relax in after a busy day. A terrace or balcony are featured in certain rooms. All rooms come with a private bathroom fitted with a bidet. For your comfort, you will find free toiletries and a hair dryer. You will find a 24-hour front desk at the property. Brera is 1.9 km from Glam Milano, while La Scala is 2.1 km away. The nearest airport is Linate Airport, 7 km from Glam Milano. Stazione Centrale is a great choice for travellers interested in shopping for clothes,sightseeing and cathedral. Take advantage of recreation opportunities such as a fitness center, or other amenities including complimentary wireless Internet access and concierge services. Additional features at this hotel include babysitting/childcare (surcharge) and wedding services. In Milan’s business district and a 30 minute tram ride to the centre of Milan, the 4-star IH Hotel Milano Lorenteggio is wonderfully placed for business and leisure trips. 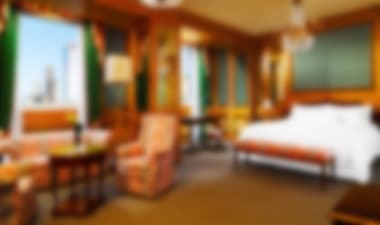 Comfortable, simple rooms offer a choice of pillows and satellite TV and there is wi-fi available throughout the hotel. Satisfy your appetite at the hotel’s Il Molinetto restaurant or head to the lobby bar for a relaxing drink in a friendly environment. Make yourself at home in one of the 34 air-conditioned rooms featuring refrigerators. Complimentary wireless Internet access keeps you connected, and satellite programming is available for your entertainment. Private bathrooms with shower/tub combinations feature complimentary toiletries and bidets. Conveniences include phones, and housekeeping is provided daily. Make yourself at home in one of the 80 air-conditioned rooms featuring flat-screen televisions. Complimentary wireless Internet access is available to keep you connected. Private bathrooms with showers feature complimentary toiletries and hair dryers. Conveniences include desks, and housekeeping is provided daily. A short drive from the centre of Milan and the Giuseppe Meazza Stadium, home to both AC Milan and F.C. 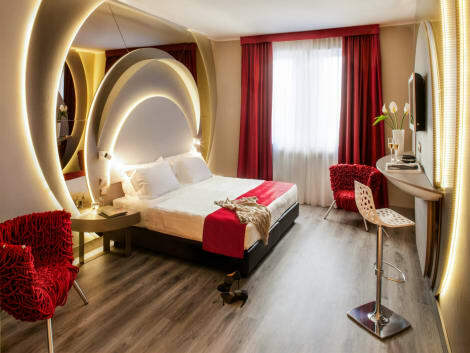 Internazionale Milano, the chic 4-star Idea Hotel Plus Milano San Siro offers stylish, contemporary accommodation just outside the bustle of the city. You’ll find LCD TV with pay-per-view channels and a minibar in your ultra-modern room. Wi-fi is available in the lobby. Enjoy the free morning breakfast and return in the evening for a selection of Italian dishes served in the restaurant. The Hotel provides a free scheduled shuttle service to the San Siro Stadio M4 Metro Station on request. This modern hotel features a guarded parking. 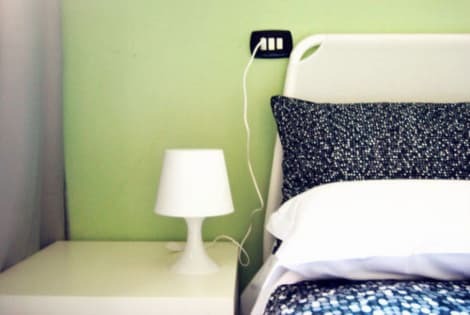 With a stay at Ornato Dependance in Milan (Niguarda), you'll be within a 10-minute drive of Niguarda Ca Granda Hospital and Instituto Ortopedico Galeazzi. This hotel is 5.3 mi (8.5 km) from Teatro alla Scala and 5.5 mi (8.8 km) from Piazza del Duomo. 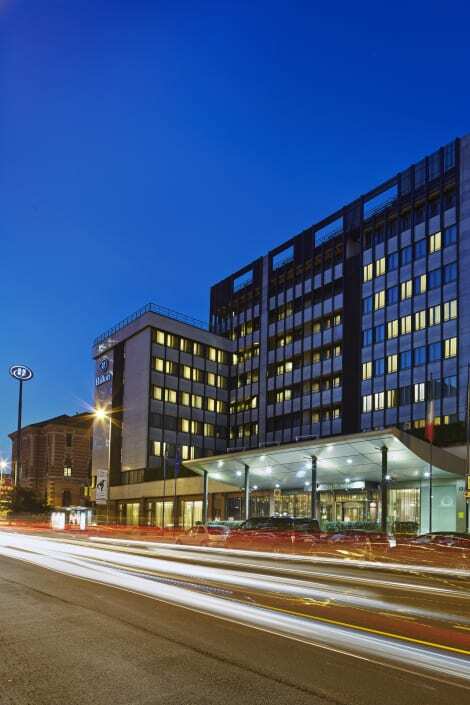 Contemporary and ideally placed in the centre of Milan’s commercial district, steps from major transport hubs and the city’s buzzing tourist and cultural spots, the 3-star Hotel Terminal is perfect for business and leisure trips. This comfortable, homely hotel has a bar, meeting facilities and a handy internet point. All rooms are practical and cosy, with free wi-fi, satellite TVs and air conditioning, and great perks include a complimentary breakfast and a pet-friendly policy. A stay at Adam's House places you in the heart of Milan, within a 15-minute walk of Politecnico di Milano and Corso Buenos Aires. This guesthouse is 3.2 mi (5.2 km) from Teatro alla Scala and 3.4 mi (5.5 km) from Piazza del Duomo. 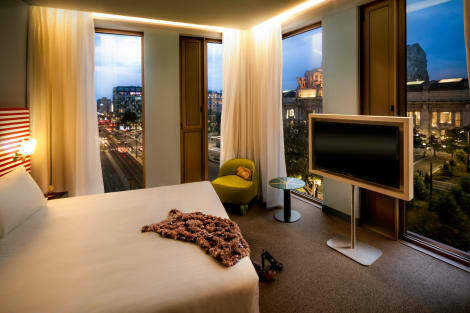 Designed by the architect Simone Micheli, Barcelò Milan is a new hotel with an impressive tower and glass façade. It provides free WiFi and free shuttle services to Milan Certosa and Milan Bovisa Train Stations, and to the Rho FieraMilano Exhibition Centre. Each room offers air conditioning, an LCD TV with satellite channels, and free WiFi. The style is elegant, with parquet floors and designer furniture. Guests enjoy free access to a fitness area. A garage is available on site, at a surcharge. 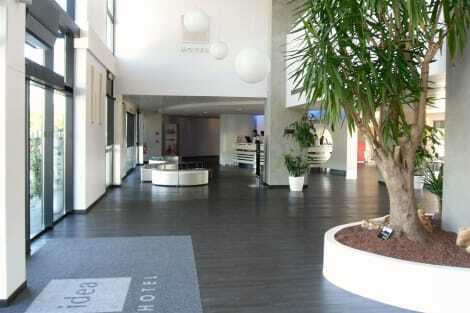 The hotel is 5 km from the Mico congress centre. You will be just a 2-minute drive from the A4 and A8 motorways linking to Milan city centre and Linate and Malpensa Airports. 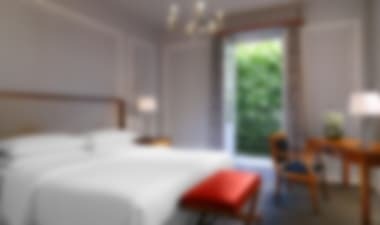 The contemporary, 4-star Hotel Da Vinci Milano, situated in a 8-hectare park, and close to Museo d'Arte Paolo Pini and Milano Nord Bruzzano Station. Richly decorated in bold designs, the hotel’s interior includes a bar and garden outside for relaxing in. Rooms are fitted with 32” flat screen TVs, minibars and safes, and 24-hour room service and high-speed Internet access are available. From castles to football stadiums, clubbing to world-class opera, this city doesn't fail to impress its visitors. Find a cheap hotel in Milan with us and fall in love with its charms. Milan flourished under the Roman Empire and the Renaissance, leaving a lasting impression on the city's culture and architecture. Built in the 15th century, Sforzesco Castle played a formative role in Milan's history, symbolising power for the leaders that ruled here. The interior was lavishly decorated during the Renaissance, with beautiful frescos by Leonardo da Vinci and others. The Duomo di Milano is one of the largest churches in the world and a fine example of Gothic architecture. Taking centuries to complete, construction on the building began in 1386 with the final touches added in 1965. The church is decorated with 3159 statues, including one of the Virgin Mary, made from copper, that's situated on the tallest spire. La Scala is a world famous opera house, opened in 1778. It's worth a visit just to see the luxurious interior with its large mirrors, fluted columns, and red velvet. The chandelier in the auditorium consists of 365 lamps and is made from Bohemian crystal. The Pinocoteca di Brera is a public gallery that houses an impressive collection of Italian paintings, such as Piero della Francesca's Virgin and Child with Saints, and Caravaggio's Supper at Emmaus. It also has an old library, free to visit, that wouldn't look out of place in a Harry Potter film. A must-visit for modern art fans is the Museo del Novecento, with its fantastic collection, including the work of famous Italian sculptor Arturo Martini and a temporary exhibit of silkscreen prints by Andy Warhol. There's also a restaurant on the top floor, the Giacomo Arengario, if you're hungry after all this and haven't yet checked into your hotel in Milan. Milan has two main football teams, Inter Milan and AC Milan. The locals are extremely proud of both, with AC Milan having 18 UEFA and FIFA titles, and Inter Milan winning three UEFA cups. The teams share the same stadium, San Siro, which has its own museum and also hosts large music concerts by acts such as Madonna, U2, and One Direction, when fans fill the cheap hotels in Milan. For the ultimate clubbing experience, head to the legendary Alcatraz at Via Valtellina, 25. This former factory is a club, pub, and restaurant, as well as hosting concerts. When you want to cool down, there'sthe Absolut Ice Bar with a temperature of -5° Celsius and a host of chilly vodkas. You're given a cloak, hood, and gloves and the bar, chairs, and SEOSITE_LEVEL_DESCRIPTIONs are made from ice.